As we and others have noted many, many times before, the bicycle may be a near-perfect form of transportation: no emissions, no need to fill up, and a source of exercise and transportation. And while bikes aren’t nearly as expensive as cars, a durable model can get pricey… perhaps too pricey for some folks. Sure, it’s a matter of priorities for most us, but would you spend the hundreds (or thousands) of dollars required if you had access to a free bike? Probably not… and, in a number of places around the world, a bike can cost you next to nothing. Let me qualify my use of “free” here: we’re talking about programs that provide you with a bike either temporarily, or permanently, for little or no monetary cost. That doesn’t mean “just come pick up a bike and ride away”… but it does mean spending significantly less than you would if you just went to a bike store and made a purchase, or even paid for a bike share. So, why do these programs exist? In some cases, local governments want to encourage biking. In others, non-profit organizations want to give kids and adults the chance to earn a bike, and learn some new skills. 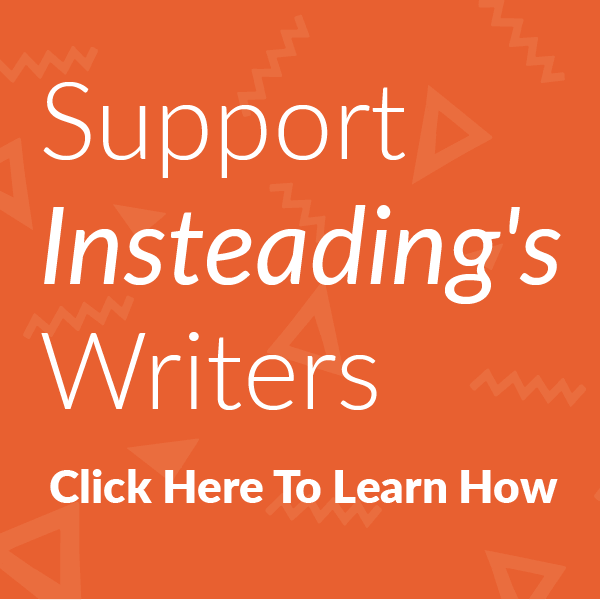 Pretty much all of them encourage a sense of independence and self-sufficiency… exactly the feelings we all had when we first learned to ride a two-wheeler. Take a look at our list… and let us know what we’ve missed on this front. St. Louis Bicycle Works: Yep, we’re doing pretty well on this front here in the Lou’ (and in the state of Missouri… you’ll see): Bicycle Works (which used to be down the street from me) gives kids (and adults, in much more limited fashion) the opportunity to earn a bike by attending a five-week program. Simsbury Free Bike: This Connecticut-based multi-city non-profit runs a free bike share. There is a $10 deposit required, but that’s refundable upon return of the bike, helmet, and lock. 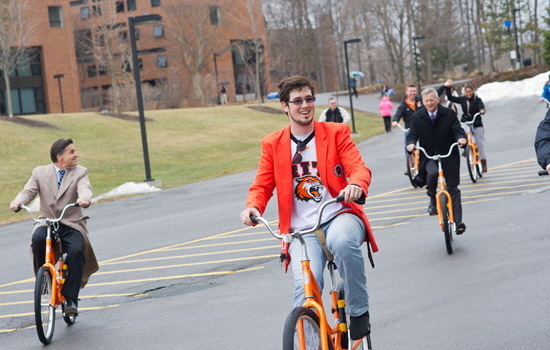 The RIT Free Bike Share: Rochester Institute of Technology just kicked off its free bike share program in April (pictured above). Run by the student government, it operates as a “bike library”: students can check out a bike, and must return it within 24 hours. Revolve: On the other side of the state, this Kansas City-based non-profit not only advocates for bicycling, but also runs an Earn-a-Bike program. They also have a training program option (with more of a family focus), and also offer refurbished bicycles to anyone who volunteers with them for 10 hours. There is a $10 participant fee. FreeBike Project from FreeBike Project on Vimeo. Worcester Earn-a-Bike: Like its Missouri cousins, this Massachusetts-based non-profit gives free bikes to young people and adults who put some time in working in their bike shop (and learning about bicycle maintenance).